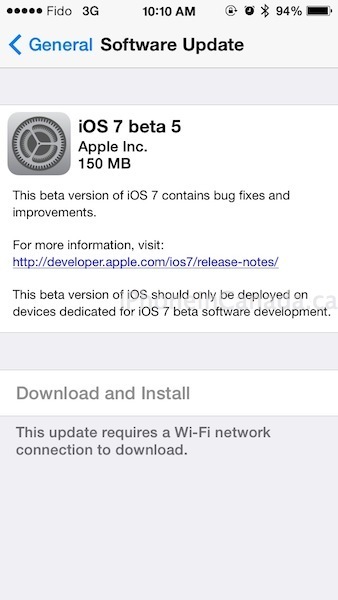 Apple has just released iOS 7 beta 5 for developers as an over-the-air update. As you can see below the install is 150MB for the iPhone 5. Expect it to hit the Developer Center shortly. iOS 7 beta 4 was released just over a week ago and featured some new changes and improvements.